The World is Your Garden – Enjoy It! 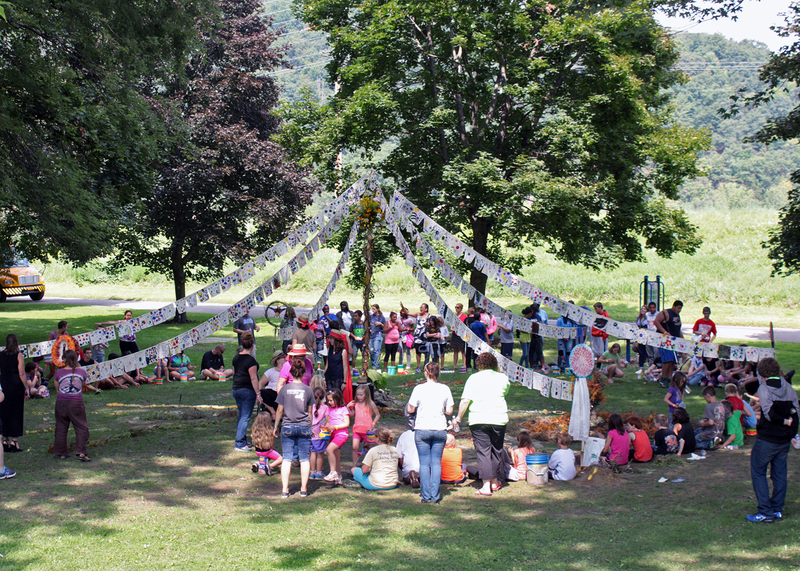 Standing in a circle with over a hundred children who have just built an art installation out of entirely natural materials, I couldn’t help but feel elated. Students created an art installation as part of the Garden of Fire Festival. The entire year before this moment had been spent planning: writing grants, meeting with a diverse group of organizations, and finally implementing the arts and science programming that we’d worked so hard to create. While, as a member of The ARTS Council of the Southern Finger Lakes, I had played only a small role in it all, I was still exhausted! Yet, in that moment we’d worked so hard to achieve, I experienced a sense of purpose that energized me. The structure the children created used so many of the things they learned over the summer – mathematics and physics, the natural sciences associated with the garden – as well as teamwork and resourcefulness. Students worked together to create beautiful mandalas and sculptures from natural materials. There is much discussion these days on the importance of science and technology in education, especially for under-served youth. There is no disputing that. However, there is less emphasis on the role that the arts play in cultivating the skills that scientists (and other citizens) require. Collaboration, creativity, and critical thinking can never be understood solely from lectures or textbooks. They are learned through implementation, through experience, by the trial and error of making something. This is part of why art is so important in the life of a child. And, this is why the Garden of Fire was created. 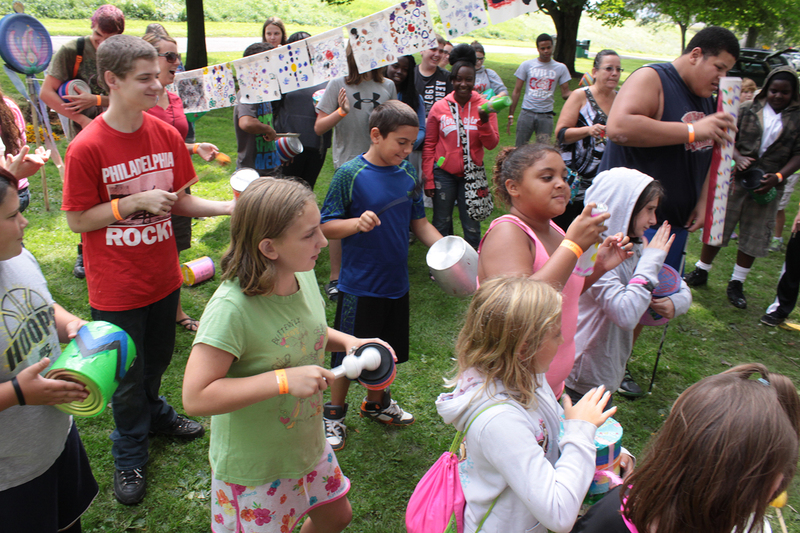 The ARTS Council advocates for arts inside the classroom and outside of it. That is one reason we are proud to be members of the Garden of Fire. Art, however, extends beyond utility into the sheer joy of beauty. That moment with the children was more than fulfilling, it was beautiful. Nothing captured that transcendence more vividly then, while listening to the children drumming on handmade drums, I looked up to see a monarch butterfly sipping nectar from the blossoms the children had looped into strings in the installation. Teaching artists Tony Moretti and Gwen Quigley laid the groundwork for a series of mandalas created from natural materials. 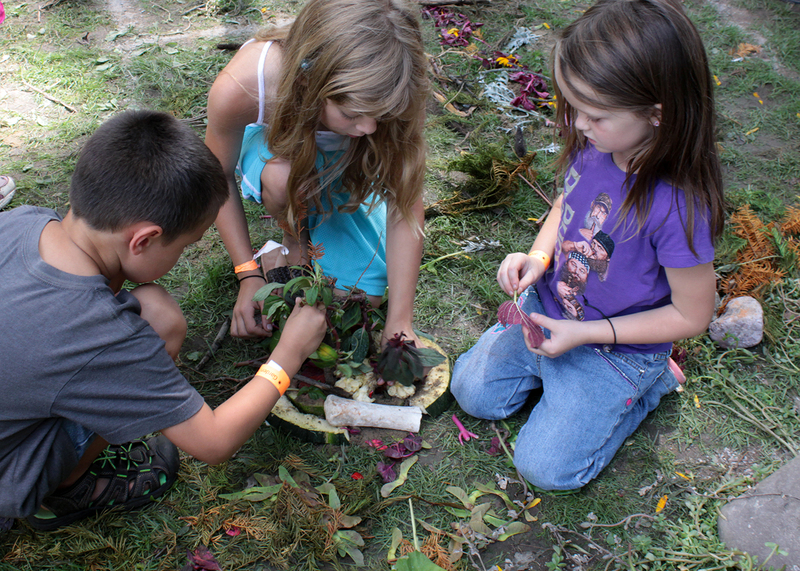 Students experimented with different natural objects to create different textures and designs in their installation. A proud student poses next to his creation! The students regroup at the end of the art project. Students worked together in groups to create elements of the art installation. Students layered natural materials to create beautiful textures and patterns. The creation was displayed in Denison Park throughout the Garden of Fire festival. Students worked together, layering natural materials to create beautiful textures and patterns.